Are you trying to find the best waste disposal option in the Clare, MI, area? Well then, you’ve come to the right place! Fair Waste Services is a reliable, friendly and family-oriented service team that provides a variety of roll-off container, dumpster, and waste disposal services to our community at competitive prices. We believe in quality work and conducting our transactions with integrity. 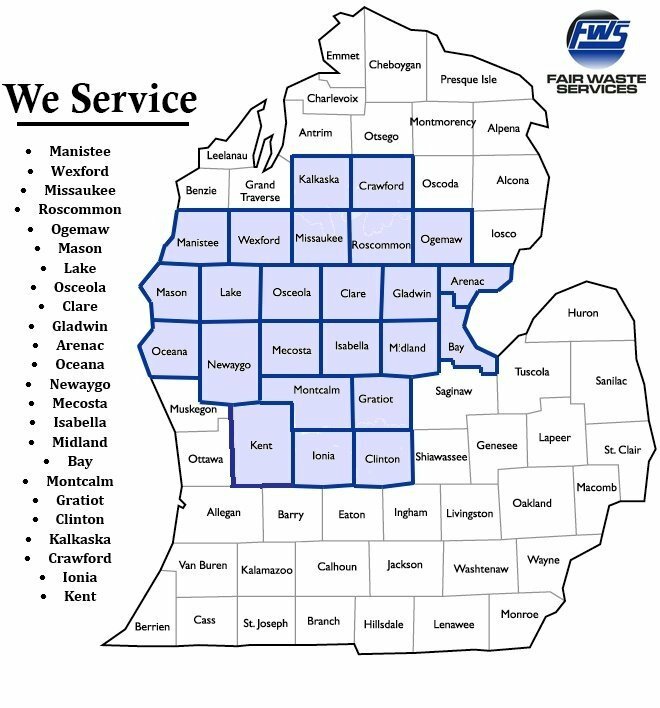 It is our mission to make available to clients the service that they need in waste disposal needs in Clare, MI and in nearby communities. Salvage services and scrap metal container drop-off are a core part of the services that Fair Waste Services offers. If you have questions about transporting materials for salvage feel free to call us to learn more. All our services are conducted in a professional manner by our well-informed team members. Staff are friendly, reputable, and have the integrity it takes to deal with our clients kindly and honorably. Some salvage yards try to haggle you into a deal that's not fair to you, while we use our pre-established guidelines to determine transparent pricing. Our team is very knowledgeable about scrap metals and proper disposal methods. If you have questions about salvage or scrap metal, are needing a dumpster or roll-off container service for any size cleaning, renovation or construction project, or want to better understand the waste removal and recycling options available to you, please contact Fair Waste Services and we will be glad to help you come up with a strategy that works best for your individual situation.